The most commonly referenced Standards for evaluation of flammability are UL 94 and UL 1694. While UL 94 is referenced far more often, UL 1694 is valuable for small component evaluation. Both flame tests are intended for the evaluation of polymeric [plastic] materials. 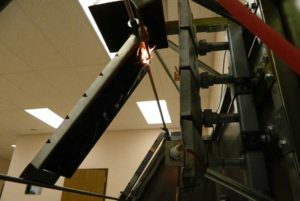 UL 94: Tests for Flammability of Plastic Materials for Parts in Devices and Appliances has a single approach for flame-testing which provides flammability ratings of  Horizontal and  Vertical testing. The flame ratings and procedure are available in a separate document in ELTEK International University [EIU]. All of these flame tests are conducted by ELTEK Labs. 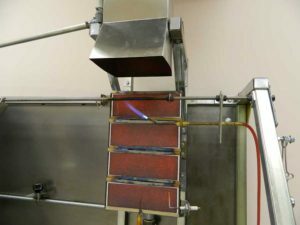 Another common series of flammability tests evaluates a material’s susceptibility to ignition when exposed to a focused heat source without flame. 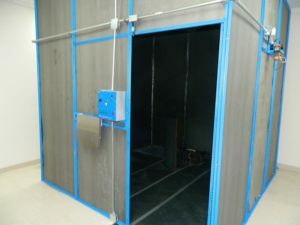 In addition to the group of flame/flammability testing presented above, an expanding suite of Fire Hazard testing has been added to our total capabilities. Sample size per test: cable length can vary. The amount needed must be discussed and agreed upon prior to the preparation and issuance of the quotation for testing. Please contact Sales@ELTEKlabs.com. Sample size per test for a flat sheet type of material vary as this test method can be used to evaluate a wide range of materials such as films, papers, composite sheets, polymeric materials, flexible or rigid. Components such as enclosures, housings, panels and other shapes can be evaluated. To determine the needed number, size and configuration of test specimens, contact Sales@ELTEKlabs.com. 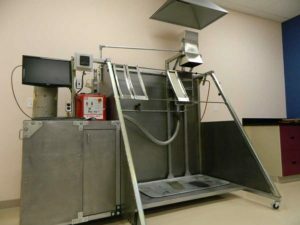 The apparatus can handle test objects up to 2000mm x 1000mm and with a maximum weight of 25kg. 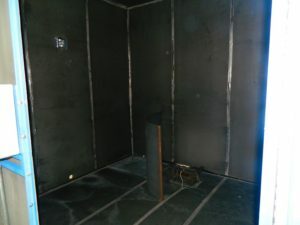 For flame and fire hazard tests call Eltek Labs at 636-949-5835 or request a quote online.